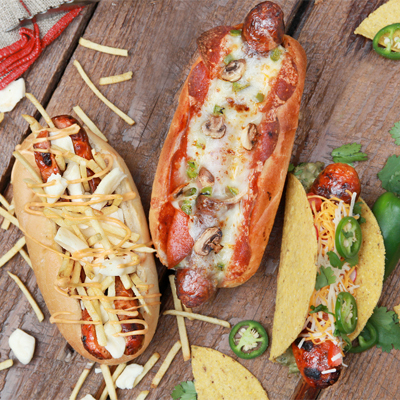 When it comes to burger and hot dog, the combinations are endless: buns, condiments, toppings, spices, cheese, patties… Get inspired by our recommendations for winning combinations and personalize them to your liking or with whatever’s in your pantry! 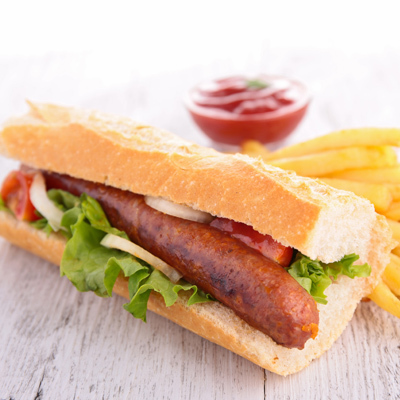 And stop by our meat department to discover up to 26 kinds of homemade sausages, enough choice to help you prepare a delicious improvised meal! Sometimes, all you need is a bun with something extra to impress your guests with your classic recipes. 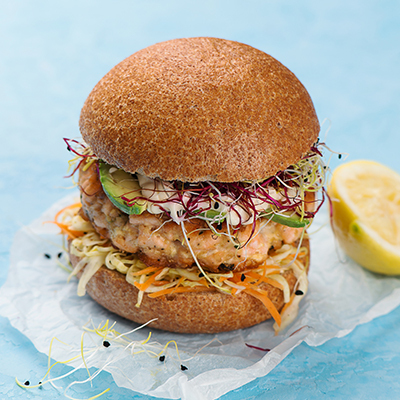 The slightly sweet taste of a brioche bun is perfect for fish burgers. Use a tangy salmon patty for an extraordinary burger. Flatbread is ideal for highlighting the taste of soft cheeses and perfect for a brie and apple burger. Kaiser is deliciously crispy when toasted. 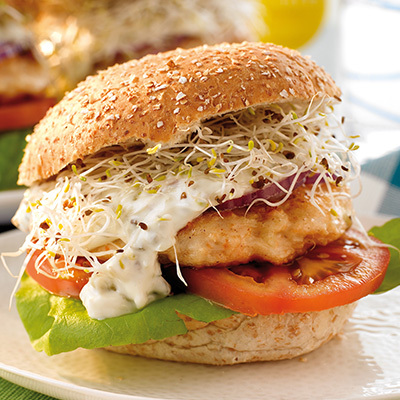 Discover the wide variety of Irresistibles or Selection breads to reinvent your burgers! 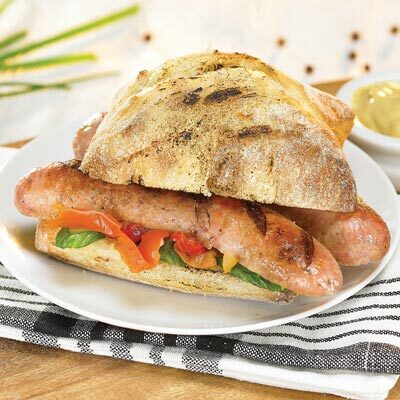 Instead of a regular hot-dog bun, use a fresh baguette or a ciabatta from Première Moisson. Guaranteed to take your hot-dogs to a whole new level. A fresh take on 5 condimentsThis summer, discover the flavours of the world without leaving your barbeque. Make these five condiments that will take everyone at the table on a taste trip. 6 Tips for a Burger that Tastes like SummertimeTo cook a fantastic burger, all you need to do is pick the right bread, delicious condiments, interesting cheeses, and colourful veggies. Here are some ideas to tempt the taste buds of your special guests! 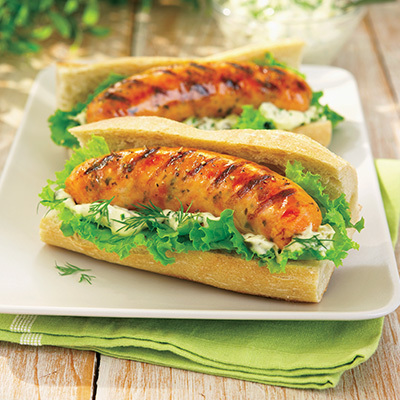 Prepare and Cook SausagesSausages have come a long way – now in styles to please any palate – from Toulouse to Marquez, spiked with basil, spinach, and mild or sharp cheeses! Quick to prepare and cook, they are hard to beat when it comes to concocting a meal on the barbecue. 5 Ways To Reinvent the BurgerThis summer, change up your faves by taking a new look at the burger in all its forms, from the meat to the bread to all the fixings. 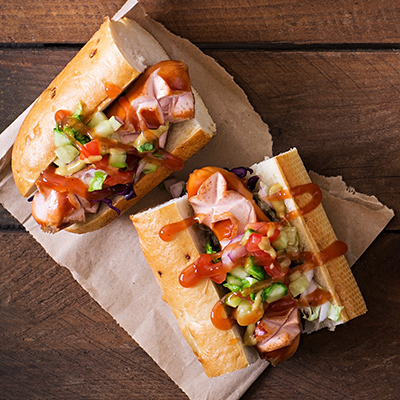 Here are five combinations to rediscover this BBQ must-have! 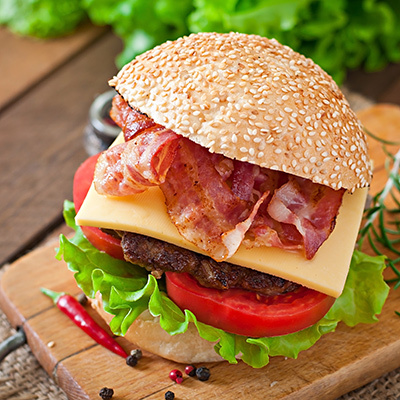 4 burger ideas with a small extra and their perfect beer pairingAll you need is a dash of creativity and delicious ingredients to wow your guests and your taste buds. 5 Ideas Worthy of a Food Truck!Get inspired by the creative, simple cuisine of food trucks for a relaxed meal with family and friends. 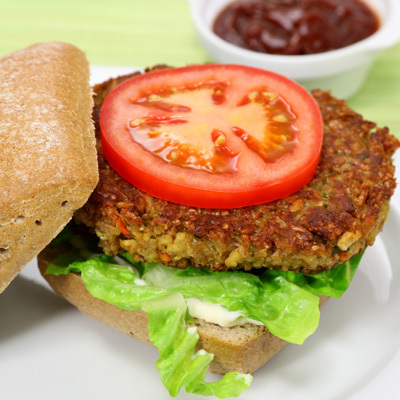 How to make three delicious burger recipes!Make it a meal to remember with apples, alfalfa, or pesto mayo. Organizing a kid’s birthday party or a family dinner? Prepare a meal of sliders for kids! It’s a simple way to add a festive touch to your dinner and save time in the kitchen. Simply pick 3 to 5 flavour combinations depending on the number of guests and use your imagination!